With Christmas only weeks away now, it’s that time where indecisions on present buying start turning into panic, particularly for friends and relatives abroad and you know you have to get that parcel off in the post pronto.Books obviously make for convenient and meaningful presents and can reflect your good taste or intellectual interests as much as they can tailored to the person you are giving it to, with the knowledge of their interests, hobbies or reading habits. Moreover, they are easy to post, courier or more than likely, sent by amazon.com. No denying Amazon is the saviour for getting last minute presents there on time and will no doubt be doing a roaring trade presently, with an emphasis on priority deliveries. 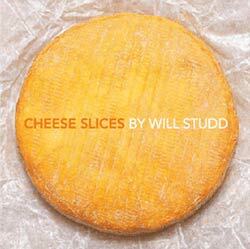 So, what does one get for the gourmand or wine enthusiast that seemingly has everything? Well, there is always a multitude of cookbooks released every year and many of them more than just coffee table decoration. 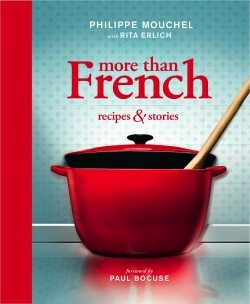 Besides, any gourmand or home cook I know can never have enough cookbooks. Wine enthusiasts are a bit more difficult, in that they might not necessarily be in to reading wine books, which are often pretty dry (pardon the pun) although perhaps good for reference. There is though the occasional good read on wine more in the story format, sometimes autobiographical from a vintners or merchant’s experiences, or wine writers accounts of travels and wine tales. There is a strong dessert section, as Paul Bocuse remarks, “a complete chef’ and particular strength of Mouchel who says “If I leave the table without something sweet, it feels like something is missing’. 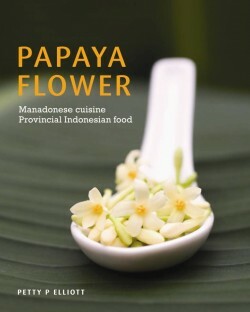 Having recently met Indonesian food writer, Petty P Elliot, my curiosity in Indonesian cuisine and culture has been reawakened, moreover enlightened and fascinated with her book, ‘Papaya Flower, Manadonese cuisine Provincial Indonesian food’, inciting a compulsion to discover more on this (undiscovered) cuisine. I am sure Indonesia is an enigma to many, even though it is the world’s 4th largest most populated country, 240 million people in fact, which is more than the combined population of England, France, Italy and Spain; but are we familiar with Indonesian cuisine or culture? Perhaps the universal engrossment with money and recent revelations that Indonesia is approaching being a trillion dollar economy and that it is after all the biggest economy in Southeast Asia might have us thinking beyond nasi goreng and sate. Standard Chartered bank expects Indonesia’s economy to rise to $9 trillion by 2030, “which would make it the largest economy in size after China, the United States, India, Brazil and Japan; Indonesia’s economy would be bigger than Germany, Mexico, France and Britain”. Much of Indonesian mystery lies in its cultural diversity, indeed 300 ethnic groups with 742 different languages and dialects in an archipelago of 17,508 islands scattered across either side of the equator, of which 6000 are inhabited; there is much to explore! Also consider that Indonesia has land borders with Malaysia in Borneo, Papua New Guinea, East Timor and is maritime neighbours within close proximity to Singapore, Malaysia, Philippines and Australia; there have been many centuries of complex cross-cultural influences on their cuisine and evolution of agriculture. Indigenous evolution in Indonesia is no less complex or intriguing, spanning from the fascinating discovery of the Java Man, one of the first known homo erectus living on the banks of the Solo River, East Java over 1.5 million years ago, to the Austronesian whose roots go back to Taiwan and known to have migrated from 10,000-2500 BC, some of whom in turn interacted over many thousands of years with the Melanesians, the indigenous Papuan-speaking people of New Guinea. No wonder those who delve into the history of the region become infatuated, even if most people’s first Indonesian encounter is Bali and seemingly tailored to western pampering and of ideals of nirvana; Bali itself has an incredibly rich culture and history and the gateway to discovering Indonesia. Well, how about we explore one of the largest islands, Sulawesi, or more specifically exploring the Manadonese cuisine that has evolved around the city and region of Manado at the northern tip of this mountainous peninsula stretching out from the Bay of Manado to the Celebres Sea and neighbouring southern Philippine Islands. Enter Penny P Elliot, not only peerless in her commentary and writing on Indonesian cuisine, also the author of a truly unique cookbook, ‘Papaya Flower – Manadonese Cuisine Provincial Indonesian Food’. Elliot is a Manadonese native of both Dutch and Manadonese ancestry and thoroughly passionate in her pursuit of championing Manadonese cuisine and illustrating the intriguing mosaic of flavours and cultural influences. It is still amazing to me that one struggles in leading international cities such as London (and England is my second home these days) – to find a decent Indonesian restaurant. With the possible exception of its former colonist, the Netherlands, South East Asia’s largest nation is so often overshadowed by greater familiarity with Thai, Vietnamese and Malaysian cuisine. For many, Indonesian food equals fried rice, satay, gado-gado (blanced mix vegetables with peanut sauce), rendang (dried beef curry from Sumatra) and instant noodles. These fast food staples are indeed available everywhere in the archipelago, equivalent to British fish and chips or American hamburgers. 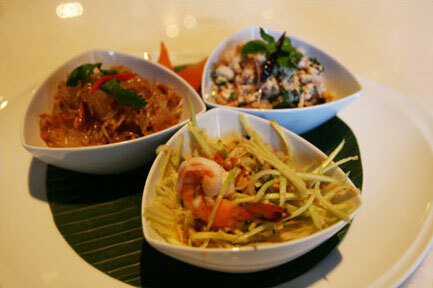 But in truth how many of us foodies spend a micro-second on such offerings? So it’s long overdue to reveal the true potential of the Indonesian menu. Pumpkin curry with fresh lemon grass and basil, stir fried papaya flowers and water spinach with smoked tuna, pork tenderloin with soya sauce, nutmeg and cloves or red snapper with grilled pineapple chillies and ginger. These are just a few of the regional dishes I have grown up with in Manado, North Sulawesi – flying time just three hours from Singapore. Seeking a better-known destination? Try Bali. The land of the Gods has punched well above its weight in recent years, with well earned international publicity as a gourmet destination. In Bali we are beginning to see change as leading international chefs are creating fantastic combinations from local ingredients, experimenting and adapting local dishes with modern cooking technique. I should mention the British were also vying for power in the region over the same period of time with the British (East India Company) becoming increasingly hostile (and ambitious) throughout the Malay Peninsula as the Anglo-Dutch wars unfolded in the 17th and 18th Century. Meanwhile Chinese traders and Malay fisherman went about their business with cross-culture marriages imparting their own influences on Manadonese cuisine with seafood a large part of the diet. As Elliot puts it, “Located on a peninsula, nowhere in Manado is further than an hour and half from the coast, ensuring both seafood and freshwater fish from the inland lakes are perennial favourites”. Manadonese cuisine utilises basic Asian cooking methods such as the wok for frying and braising but also young palm leaves and banana leaves are used for steaming a barbecuing and even though modern lifestyle has infiltrated Manado, traditional cooking methods remain much the same. Vegetarians will gain much from book in expanding and spicing up their repertoire with both the ‘Vegetable’ and ‘Rice and Noodle’ chapters offering dishes and recipes of wonderfully exotic ingredients and complex flavours, including a Manadonese Risotto with pumpkin, sweet potatoes, corn and spinach. No, the Italian’s did not invade Manado more the fact rice has been a staple here and trading commodity here for Centuries. That said I can sense Elliot’s is working cautiously within realistic constraints, and she would happily produce a tome on Indonesian cooking, and perhaps she will, as she has embarked on a monumental journey of culinary discovery. The Borough Market in London is one of my favourite food foraging spots on this planet and also home to the Ginger Pig Butchery – a real butcher. This is a carnivore’s paradise where meat and poultry are a religion and the provenance and husbandry of animals is decidedly organic, if not Celtic in its quest to bring back all the goodness and authenticity in butchery. For me, this is the defining line between those who care about what they eat and what it tastes like, and the apathetic supermarket shopper who is completely nonchalant about where their meat or poultry comes from, and clearly do not care about all the chemicals, herbicides, pesticides, antibiotics and modified and processed feeds in the food they eat, never mind the inhumane treatment these animals have inflicted upon them. Wilson’s rationale is “Good farmers look after their stock well – it is their greatest asset – and give the butcher excellent meat.” He goes on to say, “I would like to see more businesses follow a model of animals being reared and sold by the one owner, who is then more responsible for the wellbeing of the stock”. Profound logic and as with all produce, the answer lies in going back in time for the benefit of our future and sustainable farming will only be achieved by going back to the ancient methods of agriculture. The Ginger Pig Meat Book has all the necessary if not fascinating facts on meat, poultry and game, how they are raised, the best breeds, the different cuts, strategically how to prepare different cuts for cooking and most importantly what is in season and best to be on your table with a month to month insight on what happens at the Ginger Pig farms. 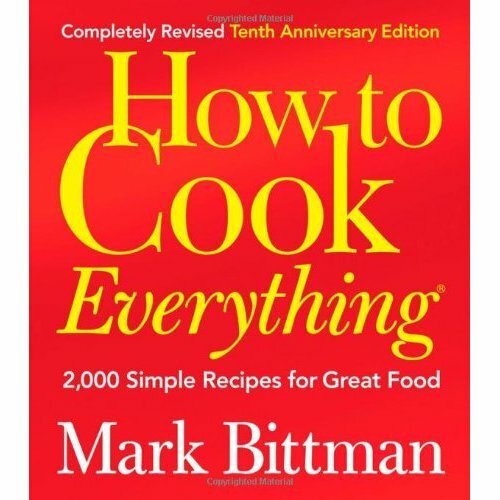 Indeed, this approach sets this book apart from others; to go back to our roots and pragmatically cook what is seasonal and obviously what is in good supply and generally in sync with the weather, or seasons as it were. There is brilliant ‘Farm’ recipes detailed month by month that have me yearning to live in a country with true seasons and great produce – “September: Braised Spanish pork with muscatel raisins, Peasant rabbit paella – October: Sausage and butterbean pot, Slow-roast shoulder of lamb – November: Boned and rolled fennel-stuffed chump of pork, Mutton shepherd’s pie – December: Braised oxtail, Citrus roast festive turkey – and many more dishes that are all perfect for the home cook; user-friendly simple in method yet wonderfully wholesome and tasty. 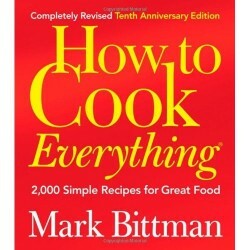 Each recipe is well-detailed in ingredients and method, and there is a very useful section on accompaniments and kitchen tips. It is a beautifully bound, plain brown-covered book on recycled paper adding a butchers feel to it, along with great down on the farm pictures and precise step by step photo-instructions for preparations and the finished dishes. 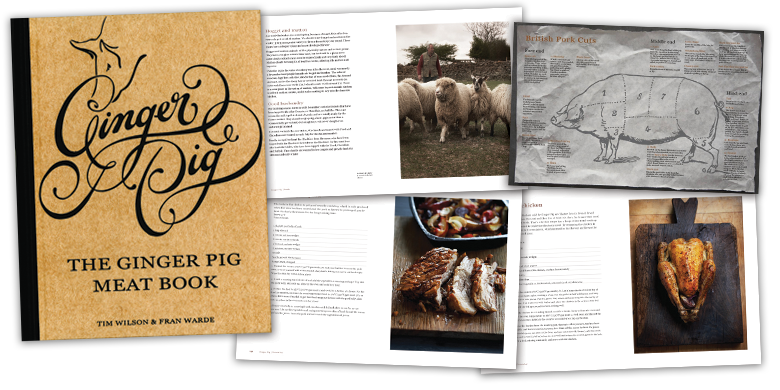 However, as a reference to meat, poultry and game and a recipe book, Ginger Pig Meat book is an invaluable addition to your cooking library, no matter where you live on this planet and an inspiration to all that enjoy good, wholesome food. 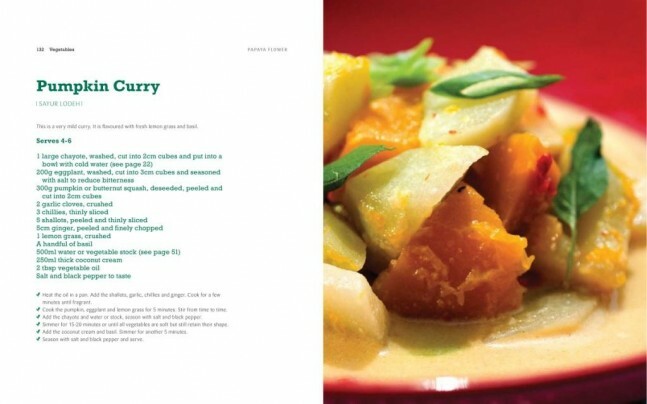 I am personally going to work through all the recipes and seasons, masquerading autumn and spring in the tropics here in Singapore. In my view, Jancis Robinson is the most knowledgeable wine person on this planet; one of few true wine generalists left, there is little in the wine world that she has not covered and encompassed in her website, which also incorporates the Oxford Dictionary of Wine – web version. There are few subscription websites that deliver as much as the Purple Pages and Robinson appears to be building a team of regional specialists to keep up with the ever-growing world of wine. There is a constant flow of new content daily with comprehensive tasting reports and cutting edge wine trade news, consumer trends, wine politics, events and everything else vinous. An indefatigable, intellectual, intelligible and prolific writer, Robinson makes the rest of us wine scribes look like lazy hacks. I use her website daily and can highly recommend it to wine enthusiasts and novices alike moreover great value; about the same a decent bottle of wine – money well spent and recouped ten times over with the invaluable resource at your fingertips. “If you’re like me, you’ve suddenly discovered a new energy for finding the right gift for close friends and family. I heard recently that 68% of Brits head out to the shops on 24 December to pick up last-minute gifts – and I can’t imagine the figure is much lower in the rest of the world. But this year I, for one, am determined to spend those final hours on Christmas Eve pottering in the kitchen and doting on my one-year-old grandson. If you’re hoping to be in a similarly relaxed position, why not consider giving a year’s membership of my Purple pages (£69, about $107 or €80) to any wine lovers on your list?